Fed from the mighty granite peaks of Yosemite National Park, the Merced River rafting experience is one of the most exhilarating one-day rafting trips we offer. The Merced River rafting site near Yosemite National Park is a 3.5-hour drive from the San Francisco Bay Area and a 6-hour drive from Southern California. The natural beauty of the area is legendary, and rightfully so. Granite peaks and magical lace waterfalls, blooming fields of wildflowers and regular bear sightings – that’s just another day in the Yosemite area. The rapids on the Merced are unlike any in California. Rollercoaster sized waves and holes will test even the most experienced rafters. We do take breaks after some of the rapids to let you catch your breath and watch the other rafters come through. Rafting the Merced River carries you through some of central California’s most wild and rugged land, a place where, as John Muir put it, “the snow is melting into music.” Springtime (April – mid-July) is usually the best time for Merced River rafting, as the mountain snows start to generate virtually non-stop rapids. This coincides with a great bloom of wildflowers across the Merced River’s broad canyon floor. The wild patches of lupine, redbud and California poppy make this an intensely beautiful river experience. 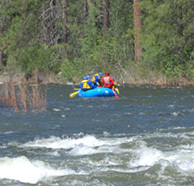 The Merced rafting trip is challenging. We recommend this trip for experienced or adventurous first-time rafters; every rafter must be in excellent physical condition. Service and connection to our guests and to the river experience remains our passion. We are proud to offer some of the most knowledgeable, fun, and attentive guides for your rafting journey along the Merced River. For almost 40 years, our family-owned company has been taking groups and individuals of every experience level down the river. We’re humbled to have received many positive testimonials over the years. Our trips are customizable according to the needs of your group. 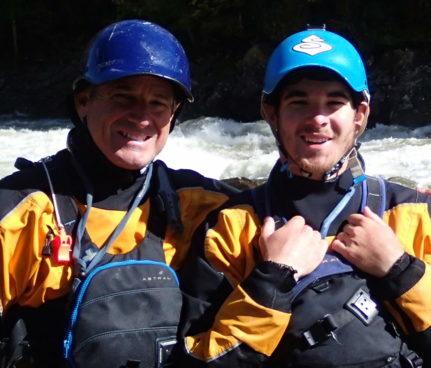 Our experienced booking staff is ready to help you design a truly spectacular Merced River Rafting Trip! 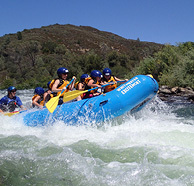 The Merced River rafting trip is a 1-day excursion. We recommend staying in the area to visit Yosemite National Park, one of the nation’s great ecological treasures. Lodging is available in the area. 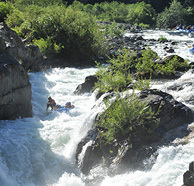 Scroll below for more details about our 1-Day Merced River white water rafting trip. Ready to book your rafting trip on the Merced River? Call us at 1-800-750-2386 to speak to a real person.